Totally Not Evil Robot Army: Fail Lizard Lives! From the video you can see that I have been working on some different robot parts like GRIPPERS! 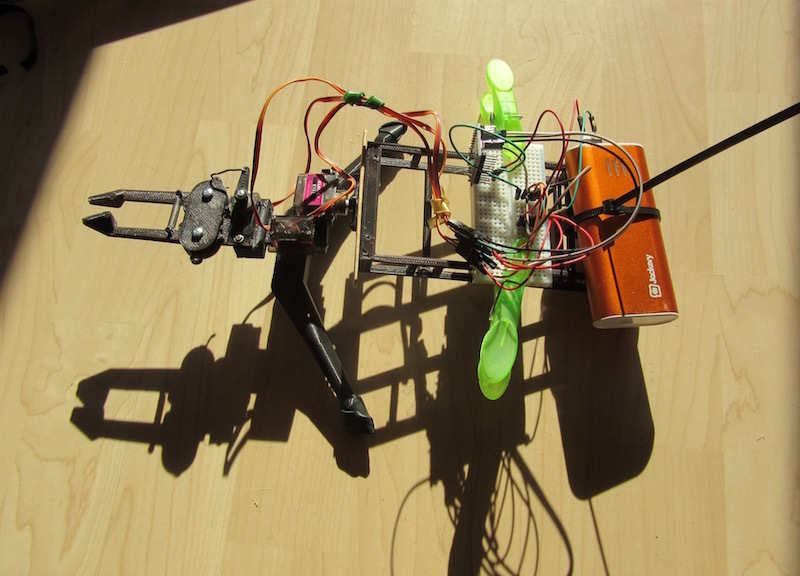 I thought it would be interesting to see if I could create something that could move, with only two servos. That is how Fail Lizard came about. Unfortunately, there was a mis-hap with the polarity of the power source. 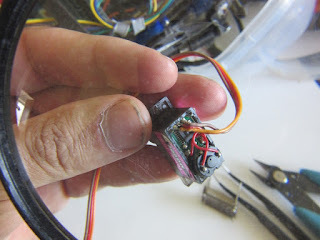 Learning point, if you have your servo power cross wired with the ground, you will start to smell the smoke. once I found my mistake, I was able to quickly rebuild the Fail Lizard and take it for a crawl. Despite being thrown together very very quickly, it was able to 'Autonomously' crawl/drag its self around. At the same time, gnashing it's gnarly (totally not evil) grippers. Fail Lizard is certainly a robo-hack, it was created for the primary purpose of creating a crawling gait using only two servos, one to 'twist' the back and the other to 'twist' its legs. This seems to work fairly well, the video segment had no tuning of the gait at all. AND the secondary purpose was to put (totally not evil) grippers on something! I also learned that despite the smell of burning servos, the servos only had minor damage and with a little solder I was able to put them back together. So, actually the Fail Lizard resulted in some good experience in servo debugging, USB connector wire (why does it seem that they are always upside down?!? ), dynamics of a crawlers, and some sweet new grippers! 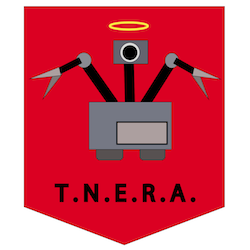 AND we now have the domain totallynotevilrobotarmy.com ! !